The second hour was not really a “dramatic finale” of a two-parter so much as the denouement of the season as a whole. But there was a recurring theme in both hours: each episode began with seemingly mild-mannered men running for their lives. In the opening hour, it was that pharmacist/mule at the airport. And in this installment, it was a science teacher at a private school in Hong Kong. 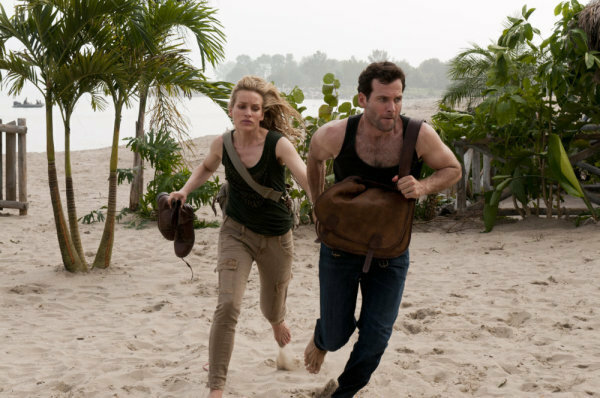 Ben Mercer (Eion Bailey) was not doing any running when he surrendered himself at Langley. “My name is Ben Mercer. I’m a former CIA operative,” he declared. “I want to come in from the cold.” He didn’t exactly get the cold shoulder after two years in the wind, but his reception was hardly heart-warming. He was immediately strapped into a polygraph. Please. As if a superspy like Ben would even break a sweat beating such a phony and useless device.